Home » Sweet Springs » NEW Telescope-type Viewer at Sweet Springs! NEW Telescope-type Viewer at Sweet Springs! Thanks to Celebrate Los Osos, a new telescope-type viewer has been added to the platform located at the northwest corner of Sweet Springs Nature Preserve in Los Osos (see SLO Tribune article). 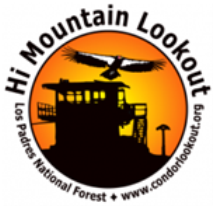 The viewer was funded by a grant and was a project by Celebrate Los Osos in memory of and to celebrate the life of Mimi Kalland who was one of the founders of the organization. 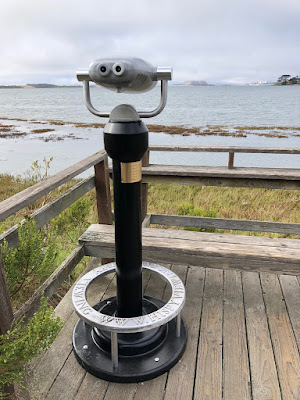 Morro Coast Audubon is grateful that Celebrate Los Osos chose to remember Mimi by installing a viewer that can freely be used by visitors to view the birds and beauty of the Morro Bay estuary. The closest preserve entrance to the platform with the viewer is at the end of Broderson Ave off Ramona Ave in Los Osos. When you use the viewer, be sure to read the attached memorial plaque placed in honor of Mimi.